Gun hating liberals often use the U.K. as an example of how a country that’s banned guns has worked to combat mass shootings and had great success. Which, of course, is true. They’ve curbed a lot of of shootings. Unfortunately, since legislation like this cannot redeem the heart of man, evil people still find evil ways to hurt others. Hence why there’s been an exponential rise in stabbing attacks in the U.K. Yes, if you take away guns, sick and twisted people will find some other cruel means of carrying out their misdeeds. So how is Scott Mann, a conservative representative of North Cornwall, propose solving this issue? 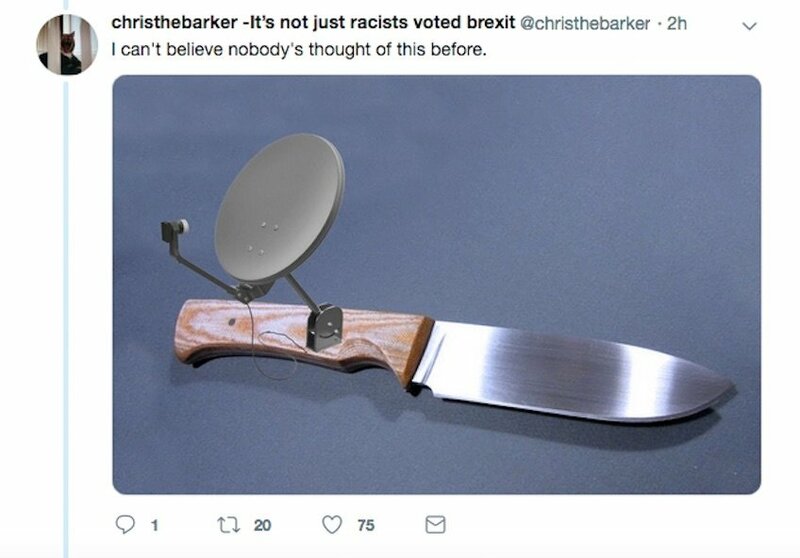 By creating a national database for knives. Wait. 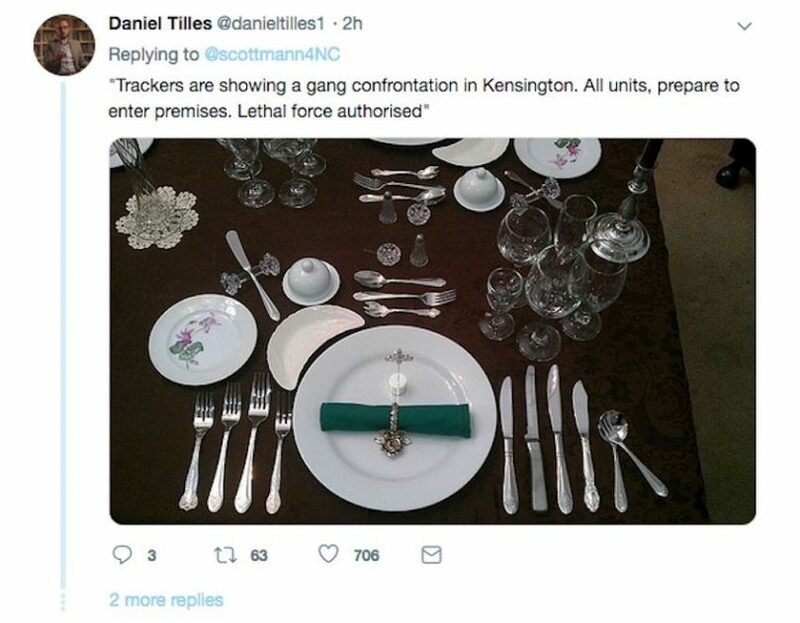 Did Mann really just suggest that all knives sold in the U.K. should have a GPS tracking device installed in them? For real? This statement, which is truly idiotic, was mocked mercilessly online. 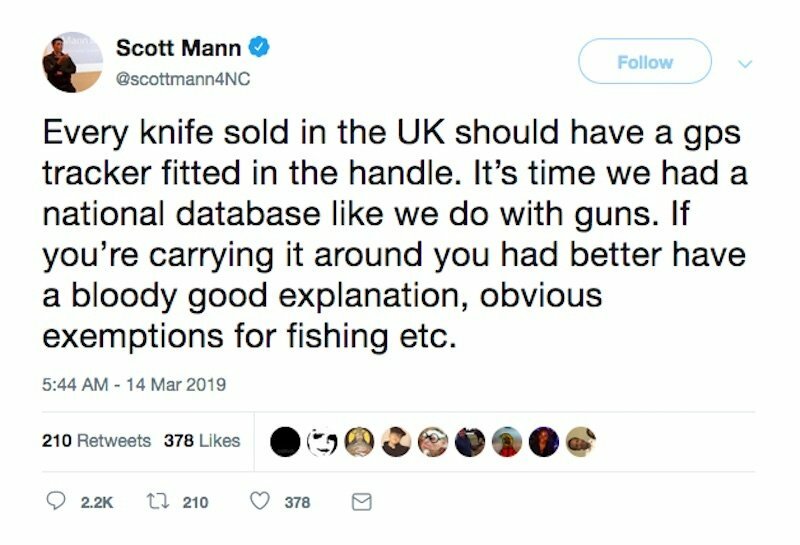 Essentially, Mann and others in the U.K. have begun to call for “knife control.” That’s how bad the violence is actually getting over there. So what’s the lesson we should all learn here, kids? Gun control doesn’t work. 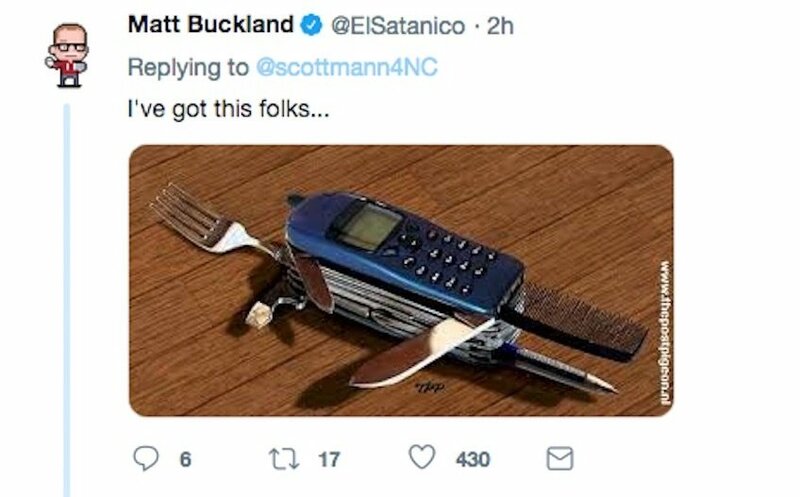 Knife control doesn’t work. You know why? Because people are born dead in their sins with wicked hearts. When they want to do evil and harm to others, you can take away every tool in existence and people will just use their fists. In other words, let people exercise their God-given right to own a gun as a means of protection so they can fend off evildoers and not be sacrificed like lambs led to the slaughter.